This is a new feature from your friends at Doc Bollywood and we racked our brains trying to come up with an appropriate title and in the end settled on the only word that would really apply to this decade - mayhem. The outfits, plot twists, sets, hairstyles and most importantly the incomparable tunes were all just over the top madness and of course our favorite Bollyweed movies came out during this time period as well. Encompassing the works of maverick film directors from the West along with infusing the songs with a healthy dose of disco gives this decade it's own look that was leaps and bounds different than the one that preceded it. It was the decade that brought us Bollywood's arguably biggest star in Amitabh Bachchan and was the heyday of my favorite singer Kishore Kumar. But the inaugural song in this series is from a lesser known movie of the era - 'Des Pardes' (1978) starring Dev Anand and the much under appreciated Tina Munim. 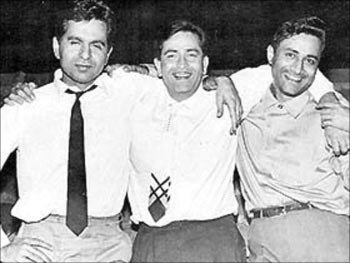 Dev Anand was one of the original 'Big 3' of Bollywood (along with Dilip Kumar and Raj Kapoor) whose movies shaped Indian Talkies from the 1940's onward. Starting in the 1960's he started making avant garde art movies and in the 1970's he went gloriously overboard and made a series of memorable films that continue to define that era to this day. Admiring the dedication you put into your blog and detailed information you present. It's awesome to come across a blog every once in a while that isn't the same outdated rehashed information. Excellent read! I've bookmarked your site and I'm adding your RSS feeds to my Google account. Thanks for stopping by and especially for your kind words! This is definitely a labor of love for me and it's nice to know that my efforts are not going unnoticed. Enjoy the music and hope to hear from you again soon.